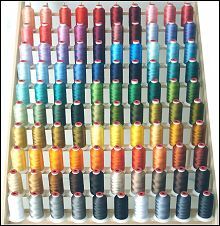 Threads are also exceptionally shiny and colorfast. 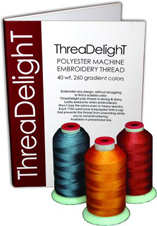 Perfect for items that require frequent laundry and exposed to sun or moisture - like kids clothing, bed & table linens. Cones come with neat red caps that can lock thread ends and prevent your thread from unwinding while you aren't embroidering. 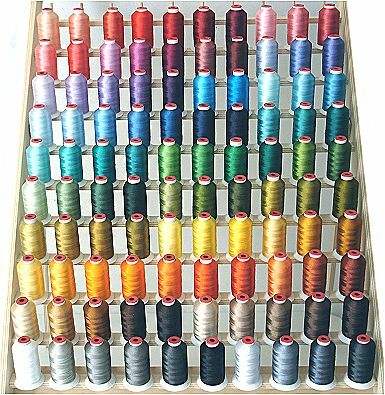 Download a color chart in PDF format for this thread kit here.